A Globe & Mail "Top Pick for Summer"
A Maclean's pick for "The ten best books of 2017"
"I came away from this book a better human being. Michael Harris's take on existence is calm, unique, and makes one's soul feel good yet never once does he rely on feel-good techniques." "Wise and witty... We should remind ourselves that a life without solitude is a diminished life. What makes this book so valuable and so timely is that it serves both as a reminder of solitude's worth and as a spur to resistance." "This is an excellent book by a first-rate writer. Michael Harris brings his insight and eloquence to bear on one of the most insidious problems of our time." Governor General’s Award-winner Michael Harris explores the profound emotional and intellectual benefits of solitude, and how we may achieve it in our fast-paced world. The capacity to be alone is one of life's subtlest skills. Real solitude is a contented and productive state that garners tangible rewards: it allows us to reflect and recharge, improving our relationships with ourselves and, paradoxically, with others. Today, the zeitgeist embraces sharing like never before. Fueled by our dependence on online and social media, we have created an ecosystem of obsessive distraction that dangerously undervalues solitude. Many of us now lead lives of strangely crowded loneliness. Award-winning author Michael Harris examines why our experience of solitude has become so impoverished, and how we may grow to love it again. Solitude is an optimistic and encouraging story about discovering true quiet inside the city, inside the crowd, inside our busy and urbane lives. Harris guides readers away from a life of ceaseless pings toward a state of measured connectivity, one that balances solitude and companionship. Rich with true stories about the life-changing power of solitude, and interwoven with reporting from the world's foremost brain researchers, psychologists and tech entrepreneurs, Solitude is a beautiful and prescriptive statement on the benefits of being alone. 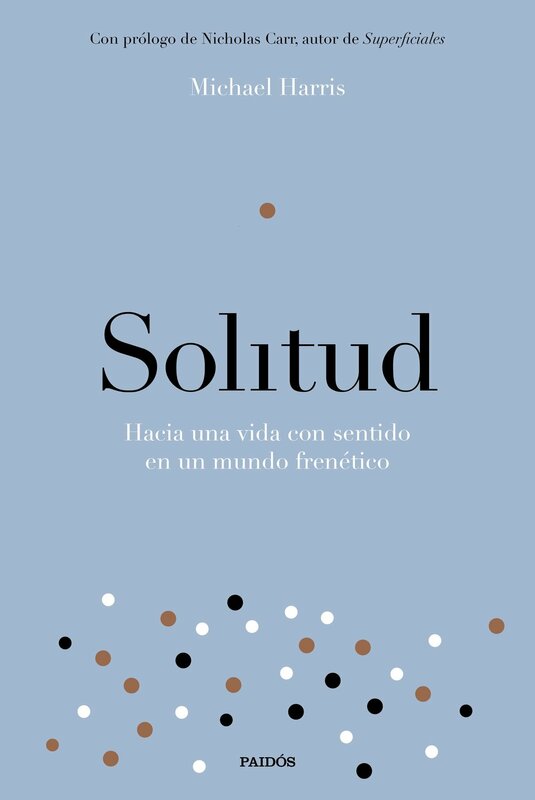 SOLITUDE is published worldwide, in six languages. In Canada: order at Amazon; Chapters-Indigo; and McNally Robinson. In the U.S.: order at Amazon; Barnes & Noble; and IndieBound. In the U.K.: order at Amazon; Waterstones; and WHSmith. For details on translations, click here. Audiobook, from Audible.com and, in the U.K., at Amazon.co.uk.